We have been busy. 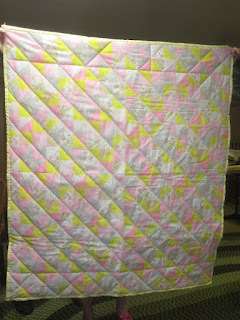 The quilts are now bound and ready to be donated. 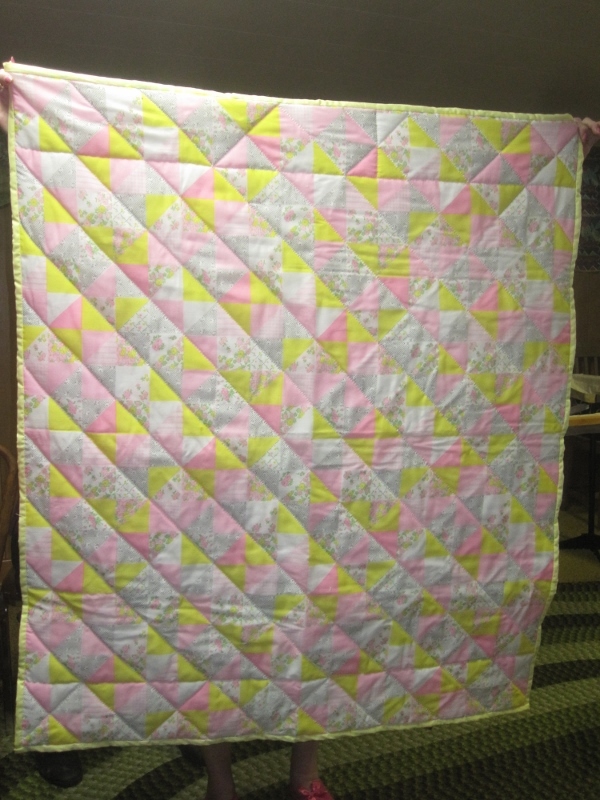 This pre-printed quilt was bound in yellow too but it's a lighter yellow. The binding on this is a beige or light chocolate. Cute, eh? Tonight was productive. We managed to get two quilts onto the frame. There will be stars quilted in the mauve strips. 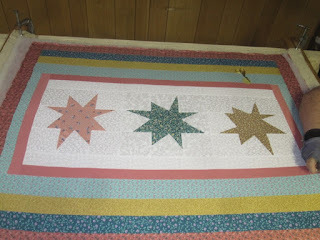 Once this was put on the frame, Ann started quilting it. 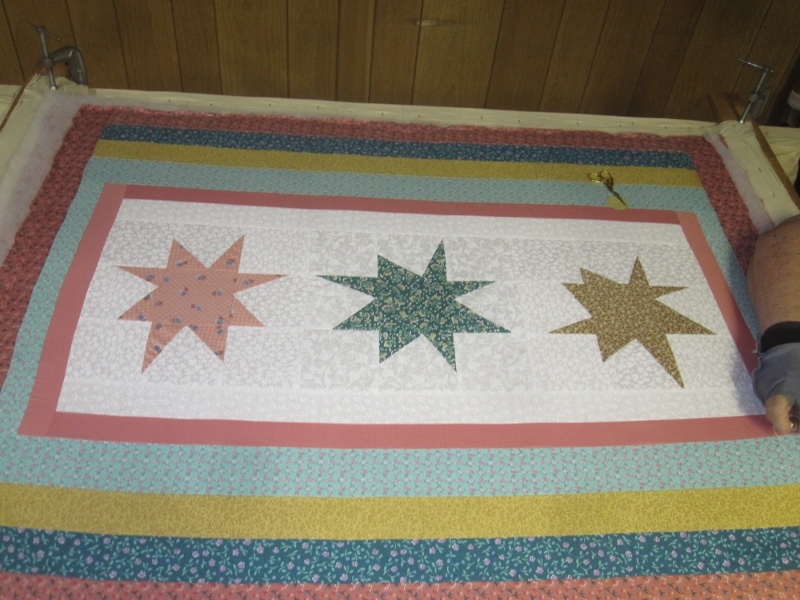 Both quilts now have a few stitches in them. 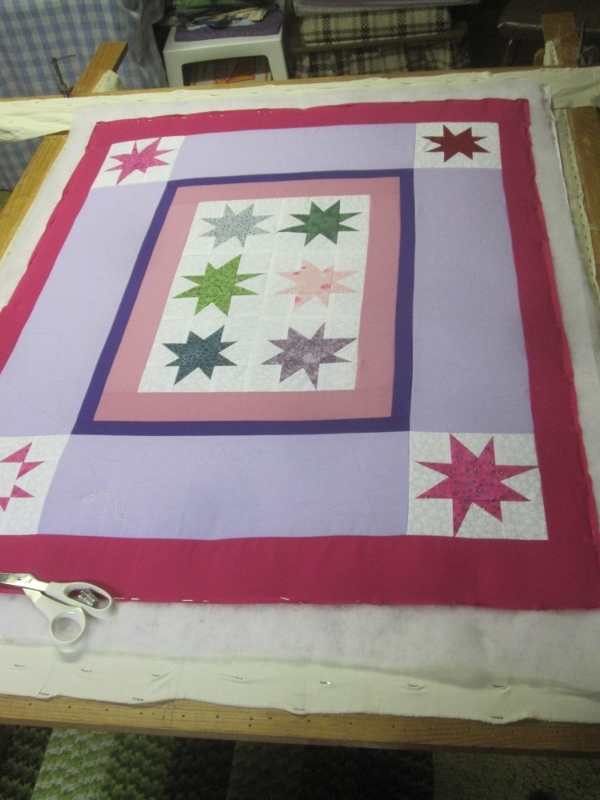 Since we have two bigger quilts waiting to be donated to charities, we may just be using our time making baby quilts. 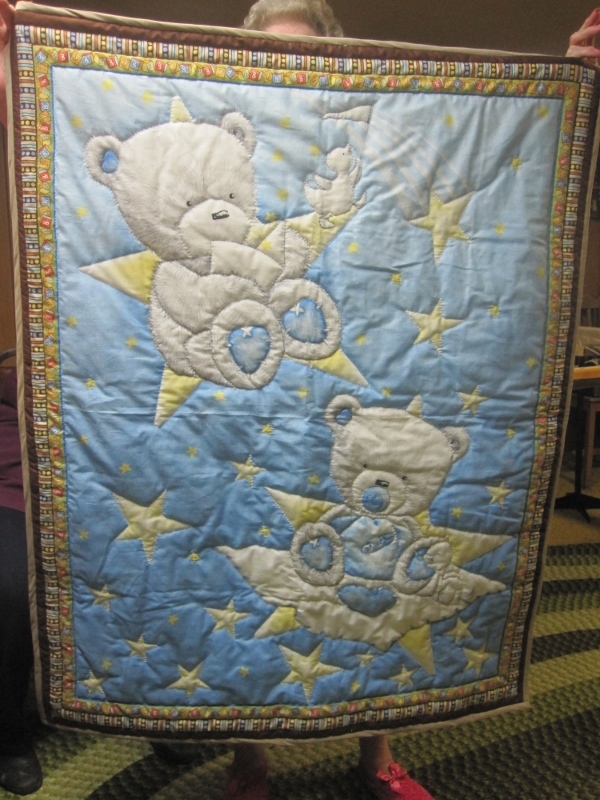 Along with little newborn hats and flannel receiving blankets, these baby quilts are going to be donated to the Silent Children's Mission. The items go to women in third world countries who show up at birthing centres with nothing for their babies. 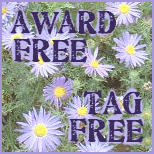 I'm linking up with The Needle and Thread Network and Julie's binding blitz blog. 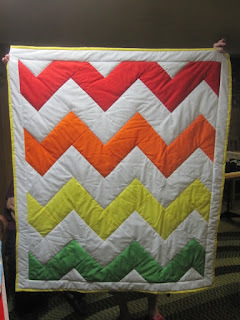 Nice work, Champagne Quilters! What a great cause. Kudos to your group for donating to such a worthy cause - and such cute quilts too! 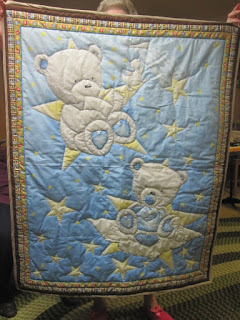 Wonderful quilts, and I'm sure they will all be so happily accepted and treasured. I agree. Kudos to the Champagne Quilters for all their work that benefits others.